Finding the perfect pair of jeans is certainly no easy shopping feat. It takes a lot of trial and error to find a style that checks off all the boxes (versatile wash, a good, flattering fit, and a wallet-friendly price tag are just a few of the most important criterion). But there's another important detail to look out for, especially when browsing the jean section of your favorite online retailer: length. Both petite and tall frames require different inseams, and while tailoring is always an option, what's better than finding a near-perfect fit in-store? 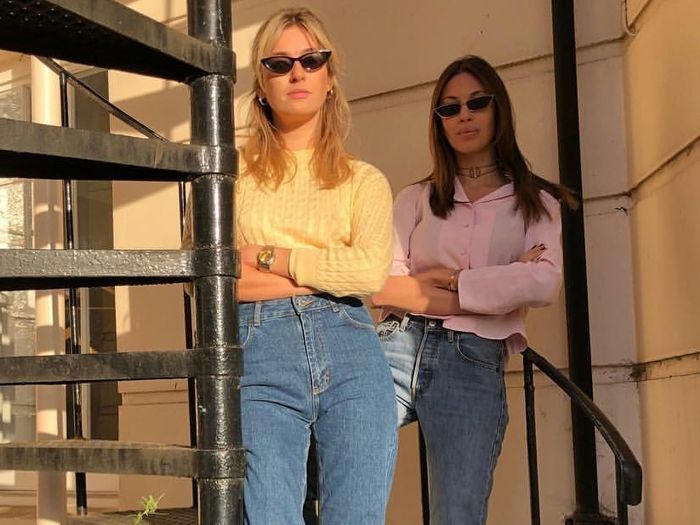 We already scoured the internet to find all the best denim styles for petite women, so we decided to hone in on the best jeans for tall women this time around. And to dig up 10 top picks, we turned to the reviews section on one of our go-to retailers: Nordstrom. Our findings? Well, you'll just have to see below. Ahead, the best jeans for tall women, from tall women. "I'm 5'9" and 110 pounds, so I need a 34-inch inseam, which these have. They're very comfortable. Just enough give, and they stay formfitting all day." "Being 5'9" and all legs, finding jeans is hard. These are the perfect skinny jeans! Wish they came in more colors." "I purchased these jeans so I'd have something different to rotate in my closet besides skinny jeans. I absolutely love these! I am 5'10", and they're the perfect length and SO comfortable. The denim is super soft, which I wasn't expecting, and the color is a very dark blue. I had to downsize because they're really stretchy and will probably stretch out even more. I highly recommend these!" 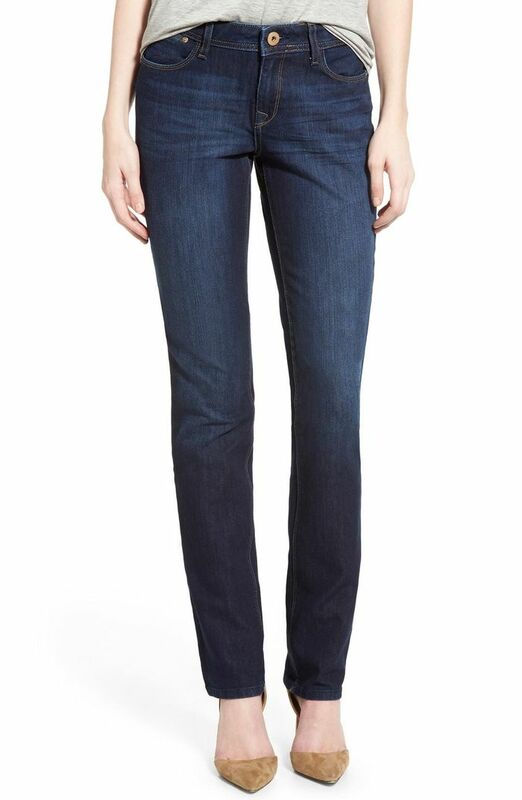 "These are the perfect boyfriend/straight-leg jeans! The cuff makes them a bit more classy than the average boyfriend. I normally wear a size 23–24, but bought these in a 25 to keep them loose and modern. Love them. The denim is up to Mother quality." "I'm the pickiest person when it comes to blue jeans, and I love these. I'm normally a 25 or 26, and ordered a 25. They fit perfectly, with the right amount of stretch, true mid-rise, and a great wash to be dressed up or down. The best part is that they come in a 32-inch inseam and fit my 5'11" frame with room to cuff them at the bottom, which is my preference. Bought on a whim, and I would highly recommend these!" "These are true high-waisted but not too long. I'm 5'10", and I can wear with a heel and don't need to hem. Great black color." "The denim is soft, and the color of these jeans is great. The length was also good for my 5'10" frame." "Just got these jeans today, and I'm never taking them off! They fit true to size, or maybe a slight bit large because of the stretch. I love, love, love these! The high rise is just the right amount of height, and they're super flattering." "These jeans fit perfectly! I'm 5'11", and they're slightly cropped on me but just the right length. Very cute pairs with a tee and sandals." "Love the fit. I'm 5'8", so I need longer jeans, and the length on these is perfect. Just enough stretch also. Worth the money!" Next up, the five denim mistakes you're likely making.